The Pokemon Company and Niantic have announced a special Pokemon GO campaign for Japan. The campaign, titled “Pokemon GO 2nd Anniversary! 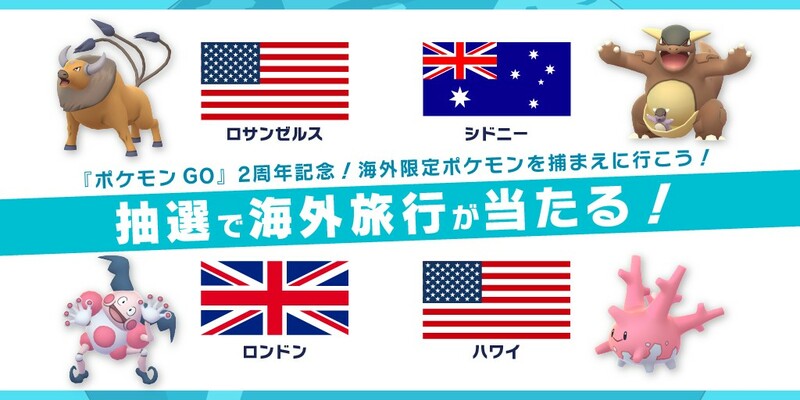 Let’s catch exclusive overseas Pokemon!” gives trainers living in Japan the chance to catch Pokemon such as Tauros in Los Angeles, Kangaskhan in Sydney, Mr. Mime in London, and Corsola in Hawaii.